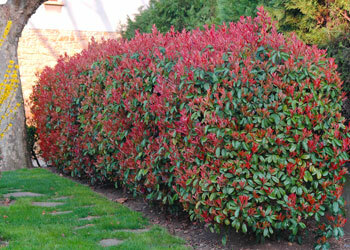 Photinias do need pruning to keep them looking tidy and so you can achieve the height and bushiness you need. They should be pruned in Spring and again in late Summer if the need it. You can also through the year trim any untidy branches. The Photinia doesn't really have any dislikes as it can be grown it sheltered or exposed areas and from loamy soils to clay soil in acidic or neutral. Sometimes black spots appear on photinia leaves this only due to the extremly cold weather but they can be removed and new ones will come through. Photinias can be fed upto 4 times a year with an all purpose granula feed such as chicken pellets or bonemeal.